Je découvre ton blog qui est très intéressant ! lol ! c'est trop choux ! j'aime vraiment beaucoup ton travail ! Oh I so agree! Life was simpler back then! that illustration is so precious! 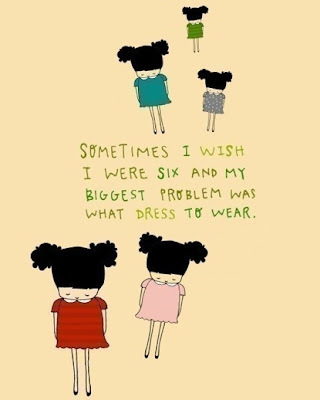 When I was six, my biggest problem was what dress my doll was going to wear. I didn't care too much about my own clothes as long as they fit. Love your blog and your necklaces!